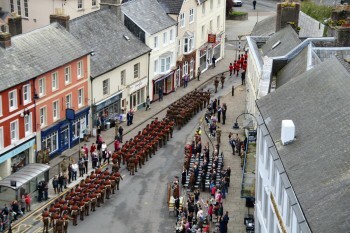 Rung as a compliment to the Small Arms School Corps on being awarded the freedom of the town of Brecon. Last updated Thursday, 20 April 2017 at 13:07:38. First submitted Thursday, 20 April 2017 at 13:04:41 by Paul C Johnson. Sent for publication in The Ringing World on Thursday, 20 April 2017 at 13:08:34.